Here’s the thing: Two Seconds (1932) isn’t an especially good movie, no, not on the whole. The first half of it finds Edward G. Robinson and Preston Foster tossing so much stilted period lingo back and forth that more than once I wondered A) if I understood what they were saying, and then B) if they, the actors, understood what they were saying. 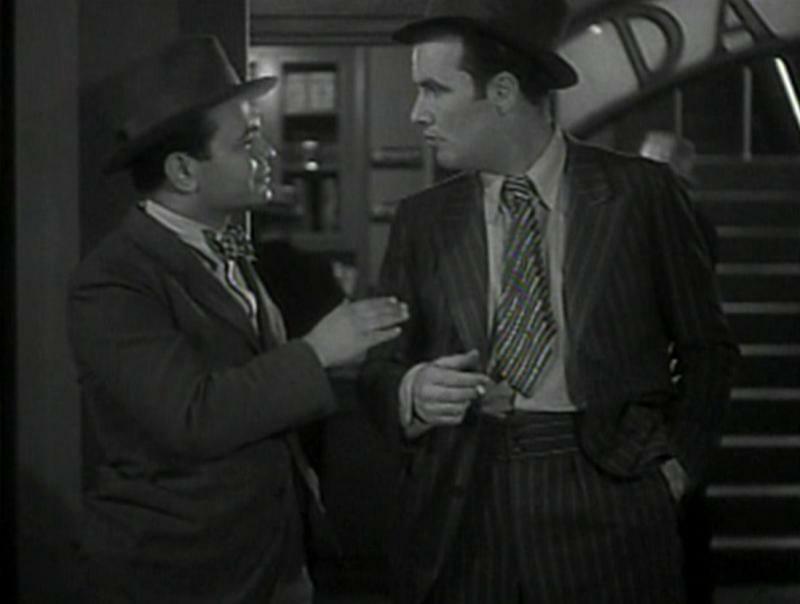 Above: Edward G. Robinson and Preston Foster. But then something happens which elevates Two Seconds to such a degree that it had me jumping on the IMDb checking for Oscar nominations (nope, nothing). 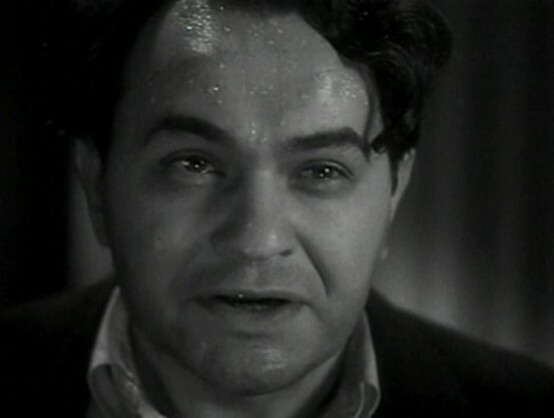 From the time Vivienne Osborne starts pouring liquor into Robinson, until the very end of the movie, Edward G. Robinson is stunning in every scene. From finding myself chuckling at what at the 20-25 minute mark seemed like a bad movie with a few funny lines, Robinson suddenly had me sitting up and telling the TV how fantastic he was. I was dumbfounded by what this previously forgettable film had turned into. 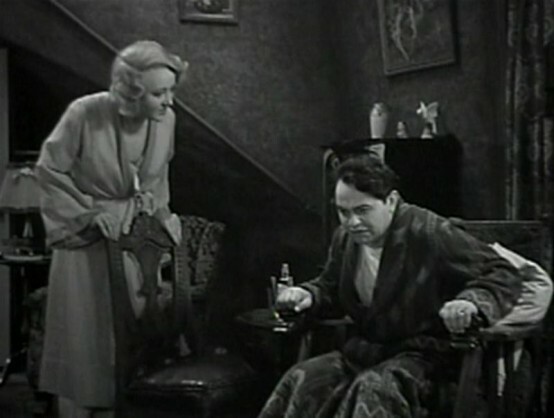 Robinson’s performance builds from the drinking scene, which is mostly amusing but nonetheless well-performed. His boozing saddles him with a wife he didn’t want and who he knows isn’t any good. It’s in defending her honor that his temper snaps, leading to a shocking and spectacular scene that leaves Robinson’s character unable to continue a normal life. Robinson is left a shell of himself and that’s when he really ratchets up his performance to full tilt. He’s an incoherent mess glued to a chair in his apartment forced to watch his wife pay the bills with money he knows she can’t possibly be earning honestly … or virtuously. By this point he’s too preoccupied with his grief and general situation to muster the strength required to put a stop to her questionable professional activities. That changes when a bet made through bookmaker Guy Kibbee pays off big. Robinson, empowered through the first money he’s been able to earn since the traumatizing incident, allows knowledge of his wife’s affairs to bubble over with the result being him more out of his mind than you’ve ever seen. I didn’t care much for Vivienne Osborne at first. I wasn't really familiar with the actress and found her insubstantial as romantic lead, but she grew on me as the film progressed. Along with Osborne, most of the other support and even the bit players came across as common and ugly characters. But what had turned me off when I first saw Two Seconds, only seems to add to its flavor in recalling it now. But Osborne and the rest really are just extra flavor, Two Seconds is all Robinson. He's the entire attraction here. It’s not a subtle performance by any means. No, it’s like someone zapped him with a cattle prod leaving us with nothing but total frantic energy. As over the top as this might have been, I never found myself doubting Robinson He brought it all off as natural and I don’t believe there are many who could have delivered in this part as realistically as he did. Robinson in Two Seconds gives, quite possibly, my favorite single performance of the entire pre-Code era, Ann Dvorak in Three on a Match included. I can’t believe he was passed over for an Oscar nod. I was exhausted and numb by the time the movie ended — what a phenomenal performance he gave! So glad you had the opportunity to see this. “Exhausted and numb” seems about right. I still get caught up in Robinson’s performance, every time I watch. Wow. WOW. WOW. I’m so glad I read your review, Cliff, because I never would have delved into the second half of this movie. The slang was cute, but the direction of the story was just sort of meh. And then the second half. WOW. 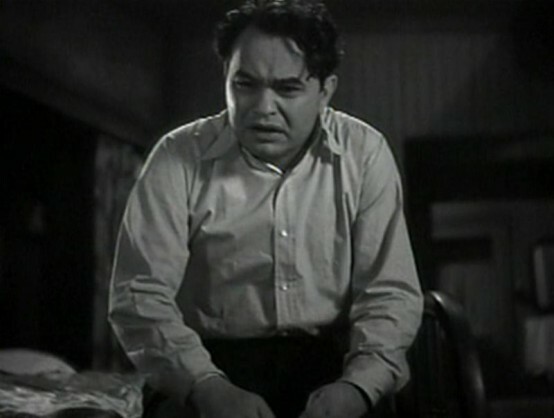 I don’t think I have EVER seen a performance as powerful as Edward G’s in the second half of this crazy flick. I’ll tell you how good the second half is: The beginning of the movie tells me exactly how it’s going to end. And yet I STILL was shocked when the finish finally occurred. How can this movie not be required viewing? @justjack, that’s exactly how I feel every time I watch this one! I feel a little bad about this post, because I don’t want to spoil the experience for anyone — I still remember how gripped I was the first time I saw it — but by the same token, I really think it has to be seen to be believed, and most importantly, just be seen at all! I’m so glad you found the movie, so glad for anyone who does. I actually like the entire movie with its gritty, authentic Depression era feel. The friendship between Robinson and Foster is well established in those early scenes, so that it really comes as a jolt when Foster gets killed. 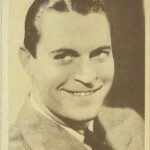 I don’t have any problems with the first half of the film – it serves as buildup before Robinson’s life spirals downward as assuredly as his pal’s plunge from the skyscraper.